Are you looking for a great burger joint that you can make your own? What about a breakfast place with good breakfast options? And What about a restaurant that has something on the menu for just about any craving? If you answered yes to any of all of the above, congratulations you have found your home! This Restaurant for sale sits in the beautiful downtown area serving Breakfast, Lunch and Dinner. With the cities Police and Fire Departments, Local High School as well as a local park are but a few things within blocks.The BEACH is only blocks away also and restaurant sits just off one of the main streets leading to the local beach area where 100's come into the area (especially on weekends) to enjoy the sun and waves. The restaurant has a variety of common California favorites (Burgers, Mexican, and Italian) and a nice selection for the breakfast options. With a 4 head beer tap and many bottled beers and the wine offerings there is room to increase this part of business by adding a few more TV's and invite the locals in to enjoy the food, drink and atmosphere as they watch their favorite teams duke it out. Currently Beer and Wine are only 4-5% of total business. The locals love to dine on the outdoor patio that has a nice street presence. The inside dinning area has a clean open feel. With the recent remodel the place has taken on a warm and inviting ambiance. The business has been in the family for 6 years when current family member bought the business, remodeled it, revamped the menu and reopened in mid April 2015. Owner now wants to leave the area to pursue other venture and is looking to pass this business on to someone that can continue to see the sales increase. This would be a great business for a family to come in and work together and continue to grow the sales and profits. Current sales are in the $27,000 per month range and growing monthly according to owner. This must be verified by buyer as current owner has not been open long enough to have filed business taxes. Lease is through March 31, 2020 plus a 5 year option. To get the Name, Address and see Pictures just go to the button below "Sign NDA" and you can see if this is not the restaurant you were looking for. 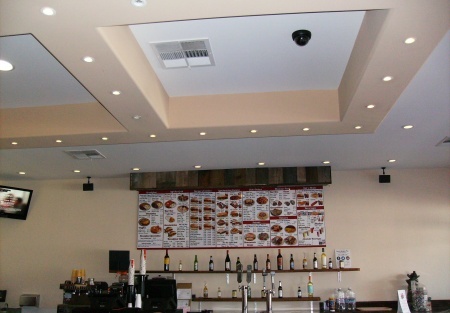 Please visit our website at www.sellingrestaurants.com to get the name and location of this business.